LHS Newsletter hot off the press! We have just finished our latest newsletter, so please do have a read HERE or pop in and grab a hardcopy version (or several if you are part of a group or organisation). Also, see below for the full-length articles about three LHS clients – Kaylea, Jon and Matt. Kaylea, 25, is one determined young woman. From six onwards, she spent much of her time in foster homes. She grew up in West Sussex, the second-eldest of seven. Her father was abusive: “Mum wasn’t coping with it,” she says. Her mum remarried and moved to Dorking just as Kaylea went into secondary school. Kaylea liked the school—”I made a lot of friends,” she says—but she was a handful. Her behaviour was so disruptive she had to go to a special school in Reigate. When she left at 17, she moved into a hostel and took various jobs in shops and sandwich bars. The hostel, she says, “was horrible.” It wasn’t clean, the manager, a keen Christian, insisted she go to church on Sundays, and the other residents—drug or alcohol users, which Kaylea isn’t—stole from her. 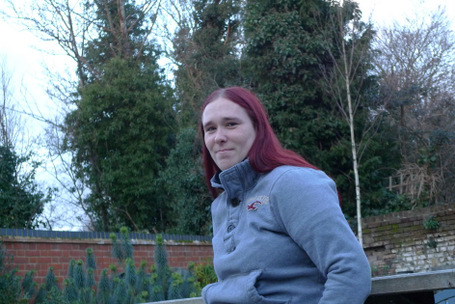 After 11 months Mole Valley council helped her find a flat in Leatherhead. “I was too young. I didn’t know how to do anything,” she says. The flat was too big and she couldn’t keep it clean or manage the bills or the shopping. After a year debts forced her back to the hostel. Nine months later she found a flat in Fetcham but, after three years, she was evicted for debt. She spent two years sofa-surfing, and stayed out or slept rough a few nights. Then, last Christmas, a friend arranged for the Mole Valley housing team to ring her, and that led her to LeatherHead Start. Kaylea has been here since January. Kaylea has always been self-reliant, and she’s always had a job—”I’m not someone who can sit around moping,” she says—but a new future has opened up. Not long ago she picked up a leaflet in a Job Centre offering work stewarding events. It’s work she really likes, and now she’s looking forward to a career in the security industry. She found a sponsor for a four week training course and, with a certificate under the Security Industry Authority training scheme, she’s qualified for better-paid jobs. Jon is great company. And for most of his life the 38-year-old made a living where that’s a job requirement, in the pub trade. He was good at it, too. Stints in various London pubs led to work in the Conran restaurant chain: “I had a talent for it.” The work took him to Australia, then, after a wedding in the US where he met his wife, he moved there to work. The relationship lasted seven years. After that he came back to run a pub in Surrey. But the drinking and drug-taking that had always been part of his life now cost him that job and, with it, his home. After three months, in May 2013, LeatherHead Start found him a place in Beare Green. Seven months ago, he found the resources to abandon his addictions, and he’s determined to stay clean. Now he cooks, plays badminton, and goes for long rides on his motor bike. His ties with his mother, who lives close by, and his sister are stronger than ever. 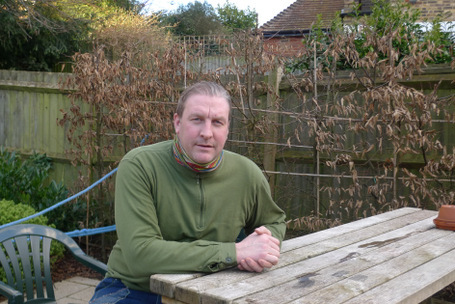 LeatherHead Start helped a lot: “It’s a hell of a lot of support. It’s talking to you, giving you a sense that it’s going to be all right. It’s ‘we will help you no matter what’. It’s genuine”. His toughest assignment is finding work. His CV is a model for anyone intent on a career in the drinks trade, but he has to find something else, even though Job Centres insist he goes back to the trade if he’s serious about finding work. But he’s always paid his way, he insists, including here at LeatherHead Start. “I took four months to look for a job, every day and night, sending emails…” His research led him to work as a sampling engineer for a firm of water treatment consultants. Their business is to make sure water supplies in workplaces meet legal standards. The work takes him all over the country and to offices all over London. Matt isn’t committed to a life in the water industry. Like everyone else, he enjoys parts of the work and not others. But, “they treat you really well. It’s a great company to work for and the money’s good.” The money will be even better when he gets the Health and Safety Executive’s ‘CSCS’ card he’s now studying for, doing course work at night. Ask most LeatherHead Start residents about their ambitions and they talk of finding a house or getting off benefits. Not Matt: “I want to own my own company.” Money is important to him. But so is stability and family life. He’d like a wife and kids: “I just want to do well and take the right path,” he says. For now he’s impatient to find his own place, preferably in the next month, and he’s saving for a deposit on a place to rent. Matt does have a lighter side. He’s never overdone drink or drugs and doesn’t have a lot of time for people who have, “but I have a great social life.” He’s out all weekend with friends from the Leatherhead area. All articles written and photos taken by LHS volunteer John Dwyer – thank you, John!